This February, my new ukulele song is one to which I found the chords after learning the words at a Guerrilla Storytime in Chicago. Illinois librarian Lindsay Huth was at that Guerrilla Storytime and shared one of her favorite songs for having the wiggles: "Stick to the Glue," a rendition of "Skip to My Lou." I wanted to use this song because it doesn't require everyone to stand up; in many of my outreach classrooms, there simply isn't room for all the kids to stand up for a wiggle song, so sit-down versions are my bread and butter. 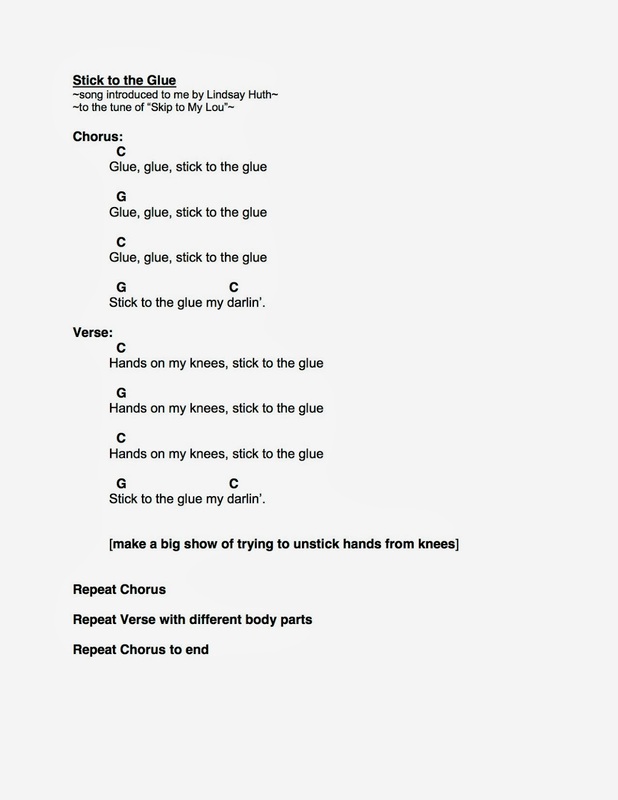 In this song, kids start out by pouring imaginary glue on their hands. Then, with each verse of the song, their hands get stuck to a part of their bodies (elbows, knees, shoulders, etc.). Kids can get out some energy after each verse as they have to use all their muscles to unstick their glued hands. When I've shared this song on the ukulele, I usually sing it first without the instrument to demonstrate how it goes and how the actions work. Once the children have that down, I'll pick up my uke and we get to jamming. If you're interested in an alternate version of this song, check out Jim Gill's version, which is a bit more active and requires kids to stand up. Today, school librarian Cathy Potter and I are moderating a School Library Journal webcast titled Using Nonfiction in the Library, the Classroom and at Home. The focus of the webcast is showcasing new and upcoming nonfiction from Gale, ReferencePoint Press, and Scholastic. I’ll link to the archived webcast here when it’s available, but in the meantime, perhaps you’d like to peruse some additional resources? As supplementary material to the webcast, Cathy and I are both expanding on some of the topics we’re sharing with attendees. Head over to Cathy’s blog, The Nonfiction Detectives, to get some context for the nonfiction we’re seeing published for youth today. Cathy and her co-blogger, Louise Capizzo, are veritable experts on this topic, and they have lots of examples and food for thought for understanding the nonfiction available now. I’m sharing some programming and classroom connections for titles mentioned in this webcast. I’ve connected a variety of titles from each of the three featured publishers to public library program options--so you can see how you can add these titles to your programming repertoire as well as your nonfiction stacks. Cathy shared some great info about how some of the titles can connect to classroom activities (I don’t go into as much detail here, as no one wants to see me pretend to know what school curriculum or a typical school day looks like in 2014). So check out Cathy’s intro to the types of nonfiction available for libraries serving youth; read up on some programming and classroom connections for specific titles; accessing the archived webcast when it’s available; and get using more nonfiction in your library. I’d love to hear what you’re currently doing with nonfiction down in the comments. Every librarian knows that Disney is big--and perhaps more so here in Missouri, Disney’s birthplace. So an animation program that has some Disney materials tie-ins will be popular. To create context around animation, I’d use Sheen’s book as well as the Disney Animated app (the 2013 Cybils winner for best app!). Then we’d get animating. If we have enough tablets, we could go high-tech and use animation apps for the iPad to create cartoons. Or we could go old-school and make flip book cartoons using markers and pads of sticky notes. Lots of sports equipment uses the principles of simple machines to help athletes perform well. In this program, we’d introduce the different types of simple machines and test them out at different stations. From there, we’d see either video clips or still images of athletes performing their sports, and then we’d try to identify how simple machines are at work. Currie’s title would add great context and examples to this activity. 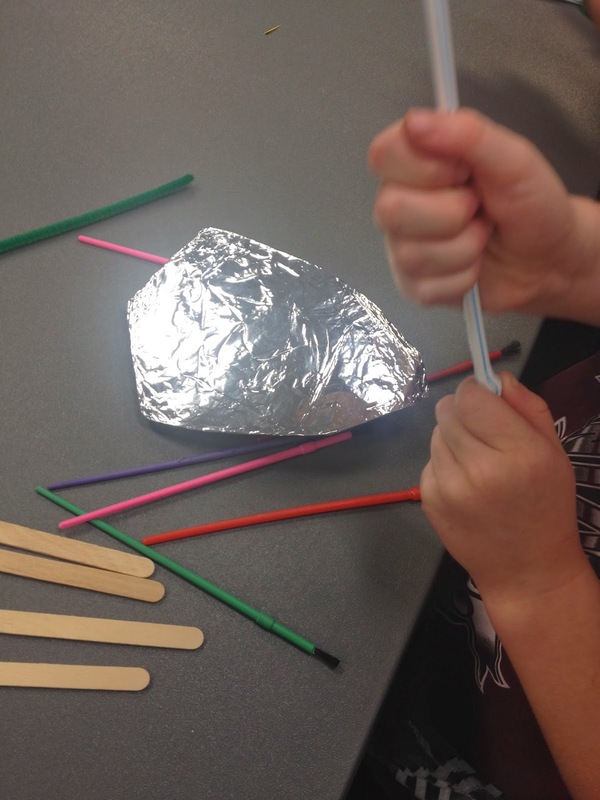 We would end with some hands-on, creative construction to try to imagine making our own sports equipment. My library regularly hosts Chat & Chews for teens. These programs take the form of a book discussion, although there is no assigned reading leading up to the event. Instead, teens gather to enjoy some snacks and talk books. Teens share what they’ve been reading, and then the library staffer shares book talks for titles on a theme. Bullying happens in a huge variety of young adult titles, and it’s a nearly universal experience, so it would make a great topic for book discussion in a Chat & Chew. Haugen’s title can also add great context to these discussions and instances of bullying in books, allowing teens to see facts and legislation about bullying. I’d share some examples of public art from Loonin’s book as well as some graffiti images (think Banksy) to get the graffiti juices flowing. From there, I’d designate a space--a bare wall covered with butcher paper, large glass windows--and hand out supplies for teens to create their own graffiti. We’d talk about keeping it appropriate if it’s going to be displayed, but I don’t see too many teens at a library program trying to get away with crude illustrations. I’d love to host this program in the lead-up to summer reading and have teens decorate on the summer reading theme. Many teens are drawn to tattoos for the artistic aspect, which means a henna tattoo program can be a huge draw. Hirschmann’s title allows the program to have just as much information as creativity. Share facts about tattoos as teens sketch their own designs and then get temporary henna tattoos. My library hosts a monthly teen music club. Each month highlights a specific genre or decade in music, allowing teens to both enjoy the music they love and hear music to which they’ve not been exposed. 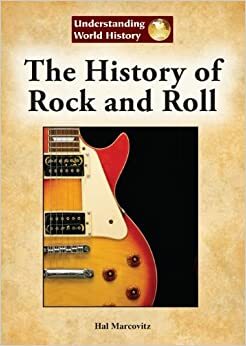 Marcovitz’s title can add a lot of context and interesting facts to a music club meeting, and I can see several of our die-hard musician teens checking it out for leisure reading. Even if they aren’t familiar with the Minute to Win It television show, lots of kids and teens are drawn to game competition programs. The quick pace of Minute to Win It tasks (ideas here) keeps everyone interested. I’d throw a Roman Gladiators-themed Minute to Win It program, complete with an introduction about all the perils facing those alive in Ancient Rome--info that can be provided by Kallen’s title. Togas optional. Make a STEM programming connection and help teens and kids learn to code by offering a CoderDojo at the library. I would either use Scratch or Code Academy to introduce basic coding skills, and I would include facts from Netzley’s title to give context to the potential for coding skills to do both great and destructive things. We would of course talk about using our coding powers for good. Preschoolers love to build, and they love the equipment associated with construction. Monopolize on those interests by offering a construction party program. Share plenty of nonfiction with great images, like Bowman’s book, to work in some great construction vocabulary, then let the construction begin. You can set out all the library’s building materials and let kids engage as they please, or you can follow a more specific program plan. Take advantage of the common fascination with the unexplained and myths to put together a trivia program for school-age kids. I’d create a long list of possible questions on a variety of topics using the Unexplained Mysteries series as well as some Ripley’s Believe it or Not! titles. During the program, I’d break kids into teams and have them compete to answer each question as fact or fiction. Prizes may result, but bragging rights are great, too. Set up a carnival-style program with several different games and activities stations. Each station would represent a historical time period, with the games and activities gleaned from this popular nonfiction series. Think pyramid-building tasks and mammoth- and whale-hunting skills. I would make sure to display titles from the different historical time periods alongside the activities, because so many of these little history factoids inspire interest and leisure reading. I previously worked at a library that offered a variation on 24-Hour Comics Day, a worldwide event that encourages comic writers, artists, and fans to create a full 24-page comic in one day. I’d book the program room for an entire day and set out plenty of paper, pencils, pens, and coloring implements as well as tons of resources for crafting stories and drawing. The new titles in this You Can Draw It! series would assist comics creators in making comics around some of their favorite topics: mythical beings and cars. How would you use these or other new nonfiction titles in your school or public library? I am extremely excited to be sharing my first post today on The Library as Incubator Project! A while back, The Library as Incubator Project (LAIP) contacted me to see if I'd be interested in regularly contributing to their blog. They were looking for a STEAM perspective--specifically, programming ideas and examples for integrating STEM concepts into those "traditional" arts and crafts programs that take place at so many libraries. I LOVE the LAIP and was thrilled to say "yes." My first post serves as something of an introduction to this idea of harnessing the STEM potential in arts and crafts programs. It's meant to serve as an introduction to the idea that there are STEM applications for arts & crafts activities. 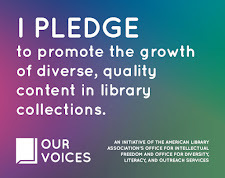 Readers of The Show Me Librarian are likely already familiar with this concept in theory, but fret not: from here on out, my monthly posts on LAIP will each highlight a specific program, ready to replicate in your library. These will be programs that at first glance look like straight arts and crafts programs, but which actually have tons of avenues for adding in STEM concepts, too. I hope you'll head over to LAIP to read my first post for them. Then stick around and browse all of their great content. It's a gold mine of ideas over there! World Read Aloud Day is March 5! If you haven't made them already, you should make some plans to do extra read-aloud activities next Wednesday. That's because March 5 is World Read Aloud Day! According to LitWorld, the international non-profit that puts on the event each year, "World Read Aloud Day is about taking action to show the world that the right to read and write belongs to all people." It's a prime opportunity to insert a few bonus story read-alouds or writing activities at your library. Next week at my library, we're celebrating in a handful of ways. We have an advertised "Read with a Police Officer!" story time program in the afternoon, and a member of my local police force will come to share a story and talk about why reading is fun and important. I'm going to set up a "Favorite Books to Read Aloud" station for all library customers; they'll be able to write the names of their favorite read-alouds on die-cut books and share them on a display. And my plan is to do impromptu read-alouds in the children's area whenever there are a handful of kids present. I'll report back next week for a recap of our World Read Aloud Day festivities. In the meantime, I'd love to hear how you plan to celebrate! It's probably no surprise to anyone that a ballet-themed story time is a hit with our young program-goers; after all, how many young ones are in ballet and other dance classes, and how many more love the idea of dancing? And so a ballet story time is really a no-brainer. But what if you think outside the book when planning that story time and partner with a ballet professional in your community for an extra special program experience? That's what my library district has been doing this week. My colleague made a call to a ballerina with the Missouri Ballet Theatre, and before we knew it, a ballet dancer was scheduled to make a costumed appearance at storytimes at each of our programming branches. Since the real live ballerina is a huge draw for this program, that means restructuring the story time format a bit. Here's what we did. I wanted to make extra sure that all our attendees had time to get into the program room, so I spent the first few minutes of the program time talking to the children (many of whom came in tutus and other fancy dress). We talked about who likes to dance, who takes dance classes, what they wear to dance, and who had been to the ballet. Lots of fans of The Nutcracker here. When it was time to get started, I introduced myself and Miss Rachel, our ballerina from the Missouri Ballet Theatre who was in full Sugar Plum Fairy regalia. I also explained the format for our special story time. This is truly a dance story of grand proportions: it's got dance, dinosaurs, worries about fitting in, and strong friendship themes. I did my read-aloud of this book standing up, which allowed me a larger range in sharing the illustrations--a necessity considering we had about 60 people show up for the program. There are a few pages that show Brontorina and her dance classmates doing a few ballet steps, and Miss Rachel demonstrated those moves so that the children could get an even better idea of what they look like. After the story, Miss Rachel took over for a bit. She invited all of the children (almost all girls, with one lone boy who was equally captivated by the demonstration) to stand and try some ballet steps. The learned to stand in first position, to plié, to arabesque, and to relevé. They finished up their mini lesson with a combination--a short dance, if you will. There was plenty of excited ballet dancing going on. After I had the children sit back down, they were able to ask Miss Rachel questions. Questions included how long she had been dancing, what are her favorite ballet roles, and questions about what moves she can do and how much she practices. Our lone male storytime attendee raised his hand last to ask if boys can be ballet dancers, and Miss Rachel happily shared how important male dancers are to ballet. Our event advertisement mentioned that there would be a photo op with the ballet dancer, and many a young friend was clamoring for just that chance. To help with crowd control and keep the line of children waiting to meet the dancer short, I also offered a simple ballet craft at the back of the room. I printed (and a volunteer cut) card stock ballerinas. I set these out with crayons and scissors, and also available were cupcake liners, which could be glued on with glue sticks to create tutus and dancing skirts (see finished craft in above photo). The children could do the craft then get in line for a picture, or vice versa, or any combination that worked for them. I made sure to have plenty of ballet fiction and nonfiction books by the photo op area, too, to encourage folks to check out a book and keep learning about ballet. Having two activities going at once definitely cut down on the waiting time for pictures with Miss Rachel, and it also helped us keep the program at the advertised 45 minutes. All in all, our Ballet Storytime was a delightful success. I saw several attendees leap and dance out of the library afterwards; I think that's pretty indicative of a meaningful library experience, when you are literally acting out the program as you head home. In continuing my 2014 story time resolution to begin creating felt stories, I decided to focus this month on creating a story using a book pattern. In choosing a story for this challenge, I looked to the box of books to consider for withdrawal on my desk. Dog's Colorful Day by Emma Dodd was in the box thanks to a few too many tears on the well-read pages. Srince I had to get rid of the book and wouldn't have a replacement for a while, I figured the tale would make a great felt story. Turns out that Dog's Colorful Day is something of a felt story staple. Search Flannel Friday and you'll see many a variation, which was incredibly helpful as I planned making my own pieces. In the end, I used this great printable pattern from MakingLearningFun.com. After printing and cutting out the pattern for Dog, I cut out my felt Dog using a somewhat freestyle manner (I had forgotten where I'd put my sewing kit and straight pins). I then cut out circular spots freehand. I was quite pleased with my final product, which involved my first foray into puffy paint. And every time I've used this felt story in outreach story times, it's been a crowd-pleaser. Month two of felt story goal: complete! Check out this week's full Flannel Friday round-up on K Leigh's blog Storytime ABC's. One of the ways in which I plan to blog about books on this blog now that I'm post-Newbery is to focus on STEAM titles. That's books, both fiction and nonfiction, that have some sort of connection to science, technology, engineering, the arts, and math. Since I aim to read as many of these titles as I can in the time I've got, the plan is to share a roundup of my STEAM reads once every month or so. Reviews may be on the shorter side depending on the overall length of posts, but I hope they'll still give you the gist of how I'd use any particular STEAM title in my library. The Review: These 8"x8" volumes are full of rich, high-quality color photographs that illustrate each books topic in a beautiful and interesting manner. Combining simple informative text with a touch of narrative, these titles are excellent for young children looking for information on and pictures of favorite or new topics. Titles include simple glossaries and indexes. The Synopsis: Indino Jones is a dinosaur expert, and he gets this graphic novel started by sharing some major dinosaur facts and records. The book touches on a range of dinosaur facts, exploring imagining the lives of a variety of different dinosaurs. 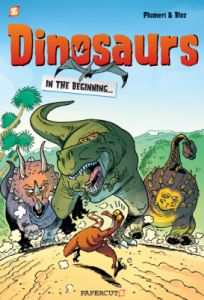 The Review: The storytelling style of this fact-based graphic novel is peppered with dinosaur factoids, action, and plenty of humor to keep readers enthralled. It's not all strictly lighthearted dino chat, though, as real information comes through in the panels as well as the index and glossary. The lettering is a bit on the small side, but I don't think that will deter many young readers interested in dinosaur graphic novels. The Synopsis: When we think of feathers, we tend to think only of flight and nothing more. In actuality, though, feathers serve many different purposes for the birds who have them, from providing protection and camouflage to acting as tools. 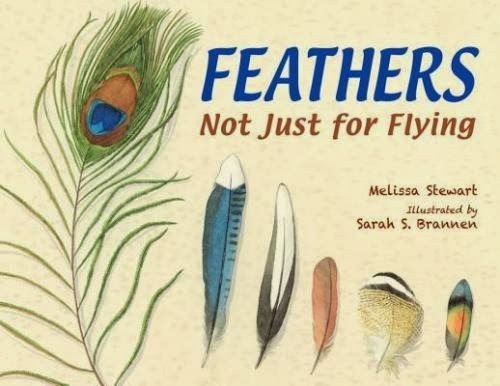 The Review: This beautifully-illustrated book is a treasure trove of information about feathers, a nature topic that never fails to captivate children. The field journal-style layout gives readers multiple ways to engage with this title: as an introduction to the myriad roles feathers play in the natural world, or as a leisurely exploration of the beauty, diversity, and function present in such a simple thing as a feather. This title is part informative, part invitation to explore, and the combination will serve readers well. The Programming Connection: Offer a school-age program about birds and spend a good amount of time focused on feathers using this title. I'd pair it with high-resolution photographs from books about birds, and I'd include an open-ended craft utilizing feathers as an art medium. The Synopsis: The year is 2031, and birds are extinct in the wild. Luckily for folks with some spending money, however, that Aviary Wonders Inc. can offer custom-made birds with any shape, color, or function desired. The Review: For all the whimsy of the premise of this title, it's an extremely strong STEAM text. Samworth's illustrations are beautiful, but the value of this text extends far beyond aesthetics. 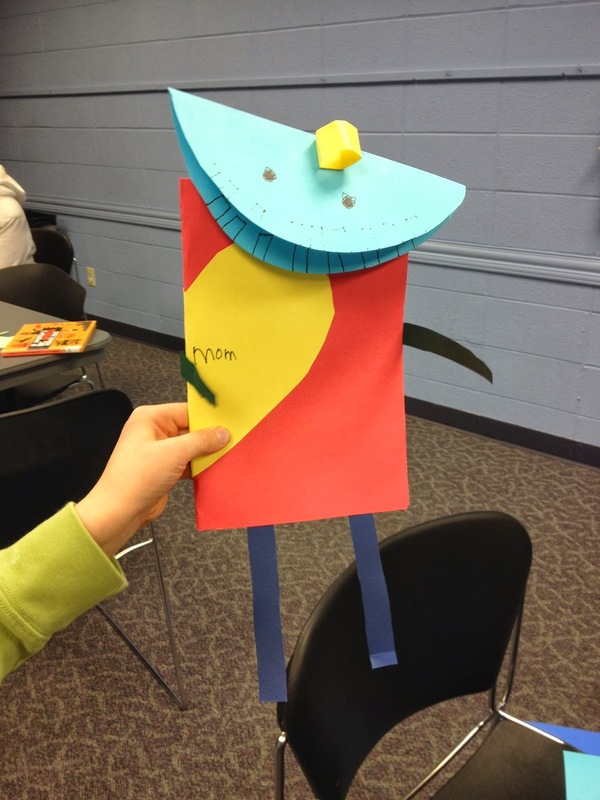 Readers will chuckle upon reading the specifics of designing one's own bird--choose a beak! a tail! a style of wings!--but they'll really be learning plenty about birds along the way. Clever illustrations implore readers to consider the physical nature of birds with a critical eye, ultimately leading them to learn why different real-life birds look the way they do. Those short beaks or long legs serve a purpose, after all. The Programming Connection: This is a great title to share as an inspirational text in a program about birds, or really about any type of animal. It begs for children to be able to assemble their own bird oddities. 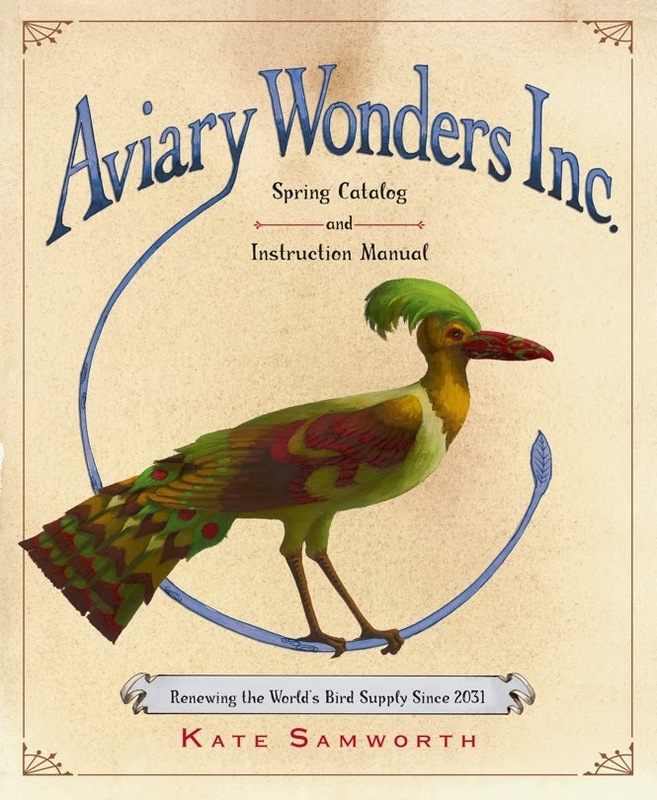 In fact, I'd love to see this title adapted into book app format to really allow kids the opportunity to order their birds from Aviary Wonders Inc. The Synopsis: Dung beetles are so much more than just bugs who hang around animal feces. In actuality, they are tiny creatures who take advantage of a readily-available resource in a variety of ways. The Review: Who knew there were so many beetles vying for animal dung? That's exactly what young readers will discover in reading this book. There's a whole insect world focused around eating, moving, and utilizing animal dung, this title demonstrates that the small dung beetle has much to captivate us. The text is handled quite well, with larger font denoting the major facts and paragraphs in a smaller font adding more detail (these paragraphs could be left out in read-alouds without limiting the book's efficacy). 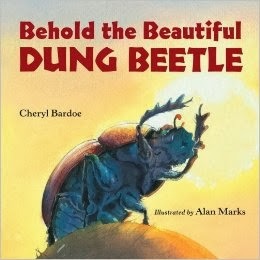 With some particularly great turns of phrase ("Clad in splendor, dung beetles ascend into our world. 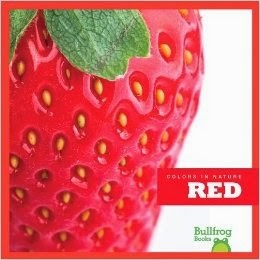 "), this book is surprisingly interesting and never stoops to using obvious poop jokes. 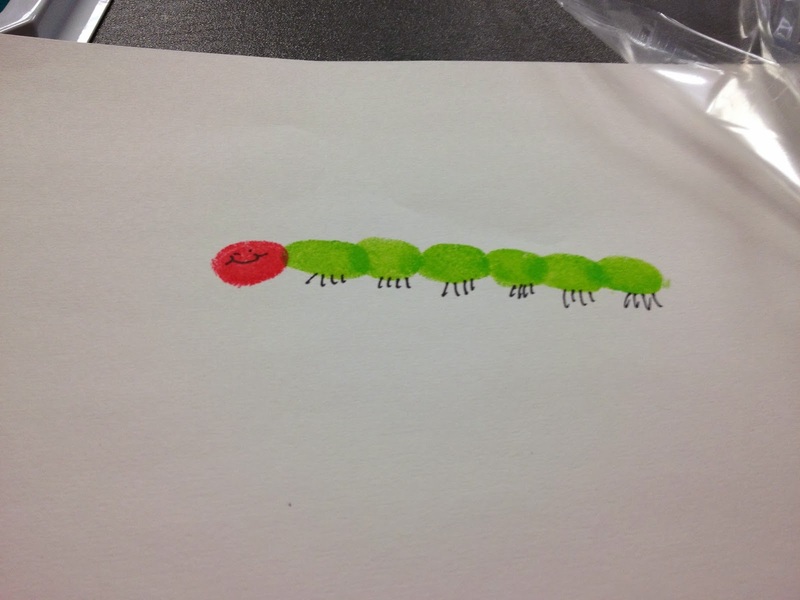 The Programming Connection: This title will make a fascinating, non-traditional addition to story times about bugs (move over, hungry caterpillar! ), and it would be an attention-grabbing element of a school-age program on entomology. The Synopsis: There are eight species of bears living on earth today, each with distinct attributes and habitats as well as a few commonalities. The Review: After giving a basic introduction to bear physical traits and behavior, this title shares simple, fact-packed descriptions of the different types of bears that exist in the world. Sun bears and sloth bears get just as much page space as the more common polar and brown bears, and each illustration boasts a few additional pieces of interesting bear trivia. Each bear is identified by scientific name, common names, and size, making this title a strong starting resource for reports on bears. Back matter includes a world map showing where different bears live as well as a glossary of different habitats. 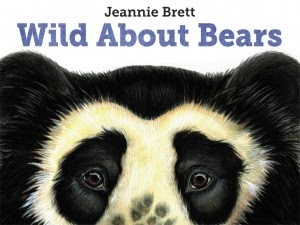 The Programming Connection: I'll make this title available for check-out after sharing Florence Minor's If You Were a Panda Bear as a read-aloud, as Brett's text goes into more detail and depth and can truly inspire interest in bears of all kinds. Attention librarians looking to find out about new and upcoming nonfiction releases! School librarian Cathy Potter (fresh off the Sibert Committee) and I will be moderating a webcast for School Library Journal next week on this very topic. You can register for this FREE event by clicking here. Full details follow. Compelling nonfiction can have a profound impact on young readers, from helping develop personal interests to supporting academic research needs. Find out about new and upcoming nonfiction titles from Gale (part of Cengage Learning), Scholastic, and ReferencePoint Press, for beginning readers and elementary children up through high school students, all with strong applications for both school and public libraries. This free webcast, co-moderated by a school librarian and public library children’s librarian, will include ideas for connecting many of these new titles to Common Core Standards and educational curriculums as well as public library programming. From persuasive writing connections and debate topics to programs about sports science and designing tattoos, new nonfiction titles have plenty to offer to librarians serving youth. Judy Galens - Content Developer, Gale (part ot Cengage Learning) Judy Galens has been involved in reference publishing for twenty-three years. In her current role as content developer with Gale, part of Cengage Learning, she oversees new title development for Greenhaven Press and Lucent Books as well as shaping content for other print, database, and digital archive products. In a previous role, Judy spent six years as an acquisitions editor for Greenhaven Press, immersed in the world of nonfiction reference works aimed at high school and middle school students. Jen Wilson - Director of Marketing, Scholastic Library Publishing Jen Wilson has worked with Scholastic for more than ten years, having started as a reference editor with Grolier in 2003. Before transitioning to the Literacy Initiatives marketing team in 2007, Jen served as an acquisitions editor with Children’s Press/Franklin Watts. After 6 years with the Literacy Initiatives team, Jen transitioned to SLP where she’s been charged with rebranding legacy products, leading aggressive, multi-faceted marketing strategies for both new print and digital products and supporting both the national field reps and the insides sales team. Jen brings a creative vision, and a passion for developing lifelong learners and ensuring equitable access to content for all children to her new role with Scholastic Library Publishing. Chris Nasso - Director of Marketing, ReferencePoint Press Chris Nasso is the marketing director for ReferencePoint Press, a company founded in 2007 to publish high-quality nonfiction titles for students in grades 6-12. Before joining ReferencePoint Press, Chris was the publisher of Greenhaven Press, Lucent Books, and KidHaven Press from 2006 through 2011. Prior to that, Chris was with Gale (now part of Cengage Learning) for many years, working in new product development where she conceptualized, created, and helped to market new print and electronic reference products designed for middle school and high school students. Cathy Potter - School Librarian, Falmouth (Maine) Elementary School Cathy Potter is the school librarian at Falmouth Elementary School in Falmouth, ME. She is the co-author of The Nonfiction Detectives blog and reviews apps for School Library Journal. Cathy was a member of the 2014 Sibert Medal Committee. Amy Koester - Children’s Librarian, St. Charles (Mo.) City-County Library District Amy Koester is the children’s librarian at the Corporate Parkway Branch of St. Charles (Mo.) City-County Library District. 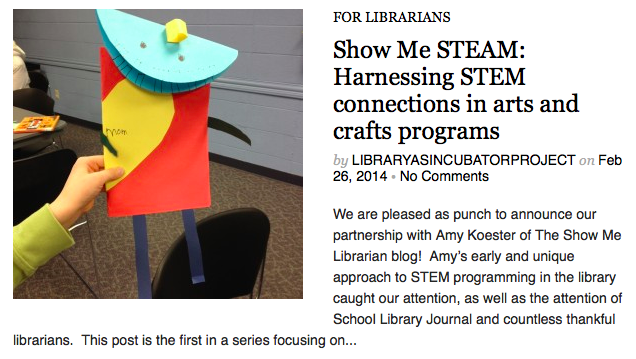 She blogs at The Show Me Librarian and wrote SLJ’s feature on STEAM programming and services. She was a member of the 2014 Newbery Committee. Can’t make it on February 26th? No problem! Register now and you will get an email reminder from School Library Journal post-live event when the webcast is archived and available for on-demand viewing at your convenience! I've had a growing number of children asking me about Arthurian legends of late, so I decided to put together a program centered around the topic. I only played a part in half of the program, as I brought in a fencing instructor from the community to share some great weapons presentations. I love being able to tap the community for outstanding and interesting program content. Here's what the school-age program looked like. I arranged with a local fencing instructor and one of his friends/students to bring an assortment of weapons so they could demonstrate fencing at different times in history. To get the sense of traveling back in time, they opened up by briefly explaining how modern competitive fencing works: the equipment, where you're trying to stab your opponent, safety, etc. After demonstrating modern fencing, they moved back to the Renaissance period. They switched to Renaissance-style swords, talked about duels and the Three Musketeers, and did a bit more fighting. Last was a demonstration of Middle Ages fencing, with broadswords and a unique style of fighting. After the explanation and demonstration of Middle Ages swordplay, kids were invited to ask questions. Tons of hands shot up, with children interested in knowing more about the differences between weapons, excited to feel the heft of an armored gauntlet, and to hear from real swordsmen what it's like having a sword fight. Sir Gawain and the Green Knight is one of my all-time favorite Arthurian legends, and I've found that it's a lesser known tale to children just getting interested in Camelot. I told the story as oral storytelling--out loud, from memory without a book, just as the tale might have been told in halls and at feasts in King Arthur's time. I prepped for the storytelling by reading through several books on Arthurian legend from our nonfiction stacks; there are plenty of versions and editions of these tales available, and you can find one to suit your audience and timeframe. I love storytelling in my programs, as kids always get totally engaged in the story. When I was at the Metropolitan Museum of Art in NYC last year, I stumbled upon a family art activity in the hall of armor where kids could use heavy-duty, art-quality foil sheets to create their own armor designs. I adapted that activity for this program. I had out on the craft tables sheets of aluminum foil and card stock shield-shaped templates for every child. Children cut out their shield shapes, then wrapped them in aluminum foil to create a relatively smooth shield the size of a hand. With the armor plating in place, kids used the ends of paint brushes to etch designs into their armor. Once the design was complete, a pipe cleaner put through the shield served to create a strap to keep the shield firmly in place on the hand. I handed out drinking straws to serve a swords, and kids went at it fencing with one another and defending themselves with their hand shields. The fencing instructor was generous in supplying time and materials for this program. As the program was winding down, he made himself available for questions and his fencing equipment available for kids (and their just-as-interested caregivers) to touch. No children actually wielded a sword, but they got to feel how heavy they were and see their designs up close--plenty of excitement in and of itself. I also made available a bunch of books with Arthurian subjects. The Gerald Morris Knights' Tales series are a particularly easy hand sell thanks to their action and hilarity. Have you worked with knowledgeable people in your community to put on interesting collaborative programs? Sound off in the comments. I've had success in years past with offering craft programs where kids can make Valentine's Day cards, and so I offer a program on that premise every February. I like to tweak and add to these sorts of open-ended, crafty maker programs, though, so I am always on the lookout for new elements to incorporate. For this year's program, I pulled a bunch of our great Ed Emberley fingerprint drawing and regular drawing books to provide some artistic inspiration. Create valentines or artwork using the supplies provided. 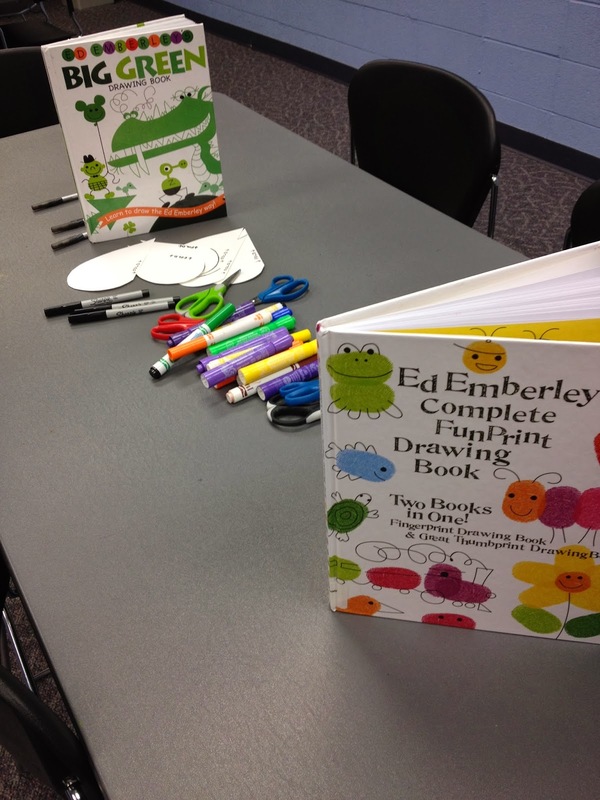 Ed Emberley titles provide inspiration and how-tis. Roses are red / Violets are blue / I hate poetry / I love bacon and you! I had around 20 kids in this program creating art, and they were all particularly talkative and eager to talk about their work. I love these informal conversations that take place while hands are busy doing other tasks, and I'm always able to get the conversation focused on books. 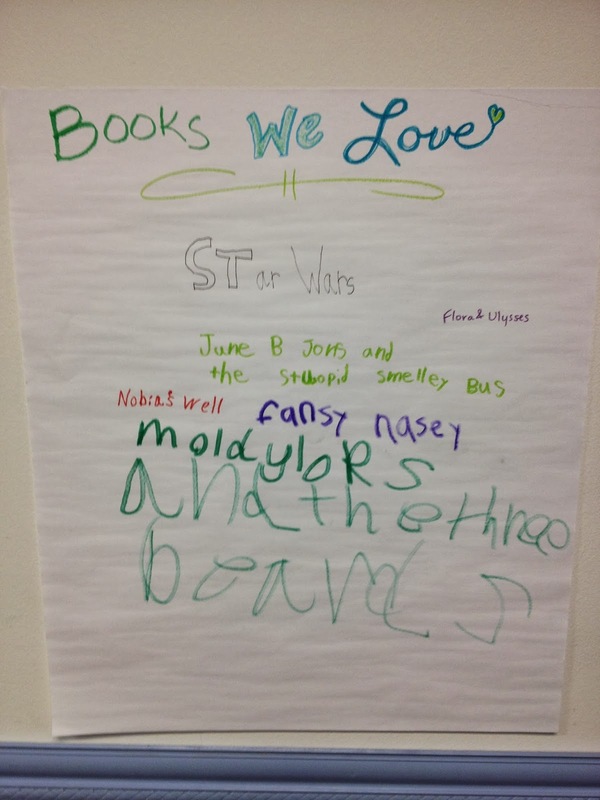 Since this particular program was centered around Valentine's Day, we talked about books we love. I stuck a large sticky note on the wall to encourage kids to share the books they love, and several of them obliged. Open-ended creation and talking books: a great way to spend an afternoon at the library. 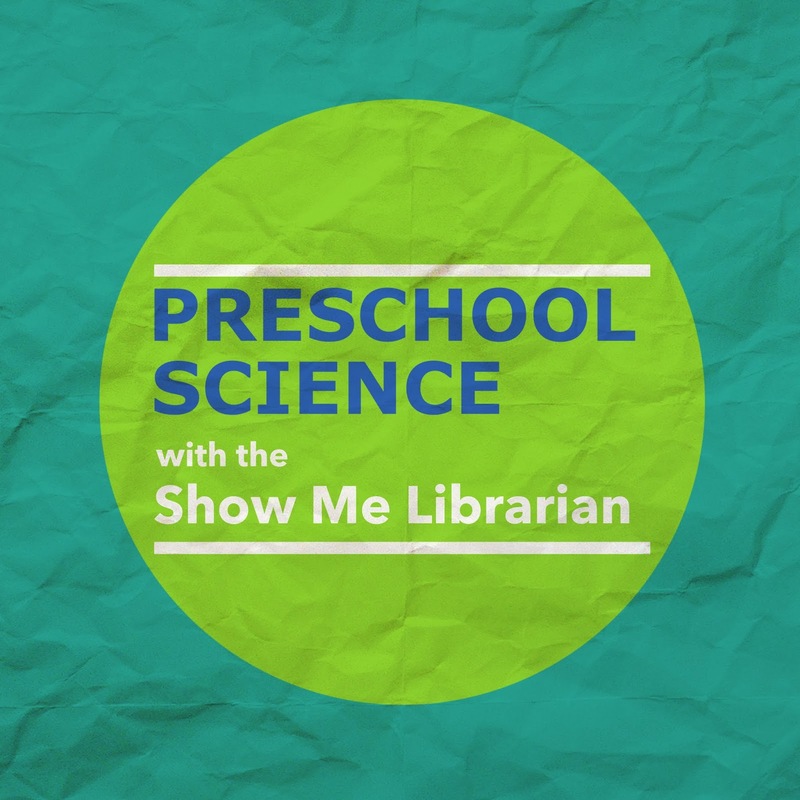 I'm over at the ALSC Blog today sharing details of my recent preschool science program on the topic of shadows. Head over there to see the books I used, the activities we did in the library, and the take-home activity options for attendees and other library users. It's been a long, cold, snowy and icy winter here so far, with no sign of the weather improving anytime soon. It's no wonder that the little ones visiting the library are feeling antsy--they've been cooped up for weeks with little space for running around! What better reason to offer a library program that rich with play and that exercises gross motor skills and fun muscles* at the same time? Small Tunnel - I set out a medium-length, see-through tunnel for kids to crawl into and roll around in. Of course they found additional ways to use the tunnel, too, including as a vertical tube of "hiding" and as a chute down which to toss balls. Big Tunnel of Awesome - This zig-zaggy tunnel was created from four big furniture delivery boxes that I saved when my branch got some new meeting room chairs in the fall. 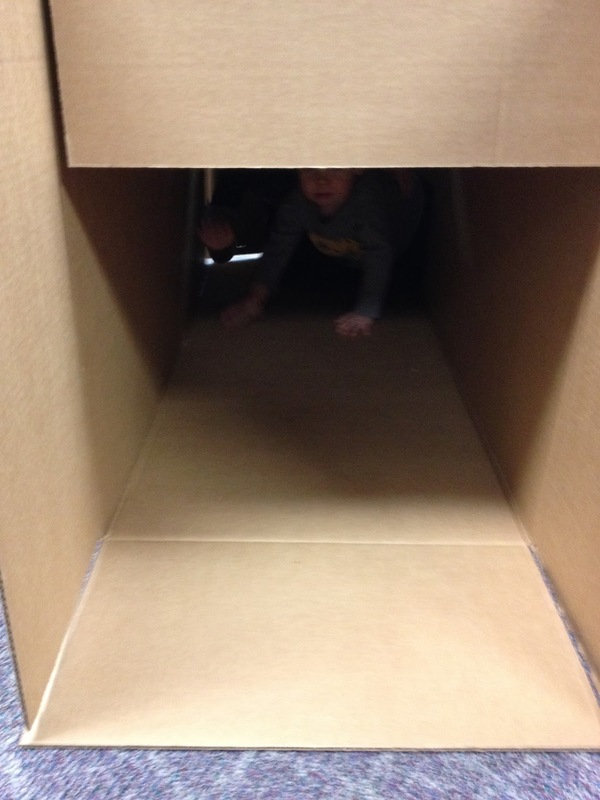 I pieced them together with the help of a colleague and some book tape, and the boxes fit well while also allowing mid-tunnel "secret" exits in case any child had an in-tunnel freak out. Never fear; the children were completely in love with the Tunnel of Awesome. I witnessed some pretty stellar play happening in and around this tunnel, my favorite of which was a little girl pretending to be a little pig while her dad was the big bad wolf. The power of play to connect to literacy, anyone? Hoop Jumping - I set five hula hoops on the floor so the kiddos could jump from hoop to hoop. Parachute with Foam Balls - Some of the children had fun playing with the parachute; some with the foam balls; and some with the parachute and balls together. In addition to the motor skill action here, there was plenty of chatter about colors. Sack Hopping - With a set of jumping sacks and a duct tape alley drawn on the carpet, children worked on not only hopping, but also figuring out how to get in and out of the sacks. I demonstrated plenty of silly ways to get in and out of those sacks, too. Baby Station - Even though the program was geared for toddlers and preschoolers, I knew baby siblings would be in attendance as well. I set out one of our story time rugs in a corner of the room, and on there I placed our soft blocks and two wooden play centers. This station was a perfect congregating point for caregivers with their little ones, while still within easy view of the action of the rest of the room. Drawing Station - In the midst of all this running around and gross motor skill development, I thought it prudent to include a drawing station to provide downtime and some fine motor work. With crayons and paper set out on tables at the far end of the meeting room, I invited kids to draw pictures of their own imaginary obstacle courses. The results were pretty great, and I loved getting to hear the kids talk about what they were going to build at home. Our program was originally scheduled for just 30 minutes, but I didn't have a problem with families opting to stay a bit longer. Everyone was just having so much fun! I also set out a number of books from our non-fiction collections that focus on at-home and rainy-day games for young children. I had a number of outstanding conversations with caregivers throughout the program about the benefits of all these gross motor movements and the importance of play. When it comes down to it, there's no need to feel more cooped up in winter that we absolutely have to. And there's nothing quite like running a bit amok to emphasize that. An excellent rendering of an imaginary obstacle course. *I can't believe I just used the term "fun muscles." I'm kicking off my return to reviewing books on this blog with a new title from author Artie Bennett. I've reviewed a few of his hilarious non-fiction offerings in the past, so I'm excited to review his new title, a rhyming fiction picture book. The Synopsis: Peter Panda is your average young child who loves whatever it is he's doing--until something goes wrong and he melts down. Luckily Mama Panda is there to help him move beyond his tantrums, and to show him that melting down is something that happens to everyone every once in a while. The Review: I love Bennett's dexterity with rhyming text. His lines are always a joy to read, and they roll off the tongue like in the best of rhyming picture books. This particular story also includes a fun, repeatable refrain: "Uh-oh. Here it comes. Here comes that frown. Peter Panda melts dowwwwnnn!" It's a line that will be tons of fun for young readers to recite during the story. I couldn't help smiling whenever Peter began to have one of his meltdowns, as they feel so genuine in how they occur. Peter apologizing for making his mom melt down rings very true, too. Nez's illustrations, which are big and bright, depict the action of the story along with the text, giving this title great potential for read-alouds and one-on-one sharing with a child. The Programming Connection: I'll be using this title in story times for sure. I'll also include it in book displays at ECRR and other parent story time workshops, as this would be a great title for parents to share with their kids to talk about feelings and work through difficulties transitioning between activities. I've got a copy of Peter Panda Melts Down! SIGNED by Artie Bennett to give away. If you'd like to be entered in the giveaway drawing, enter your email address in the form below by the end of the day 10 p.m. CST on Tuesday, February 11. The last week and a half of January felt like a whirlwind. Lots happened in that rather short time period. The Newbery committee deliberated and named the 2014 medal-winner and four honor books. I talked about social media and grassroots advocacy for a LLAMA/NMRT panel at #alamw14. The #alamw14 Guerrilla Storytime was a huge success. I went to Chicago for the Opening Minds 2014 conference to help showcase the work of Little eLit. A truly impromptu Guerrilla Storytime happened in the exhibits hall of Opening Minds 2014, thanks to the support and excitement of the folks at Follett. I feel like I've been all over both physically and emotionally, and what I most look forward to right this moment is rearranging my bookshelves now that my Newbery reading is complete. I think that exercise will bring me back to my usual state of mind. In the meantime, here's a video from my fellow 2014 Newbery committee member, John Schumacher; I still get a thrill watching it.